First edition, apparent first printing (both not stated). 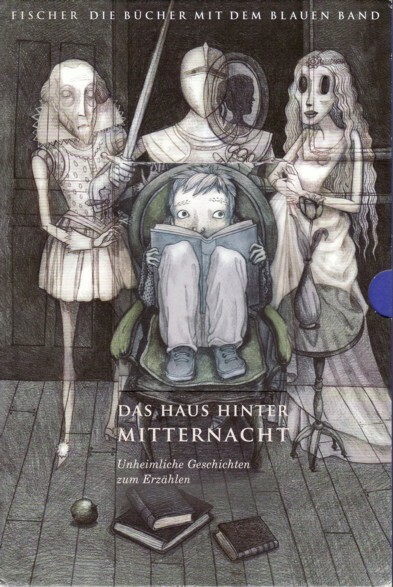 The copyright is assigned for the year 2008 to S. Fischer. The publisher is given as just 'Fischer' on the cover and the title page; the ISBN, however, belongs to Fischer Taschenbuch. Editor of the publication series: Tilman Spreckelsen. The last numbered page is p. 280. Issued in a slipcase: respective parts of the cover art are reproduced on the former and on the corpus of the book. The art only is completed when the book is inserted into the slipcase. Isabel Klett is credited for the pictures on the title page. Month of publication from Amazon.de.